I found out about King Gillette Ranch by accident, to be exact by browsing the Internet and searching for interesting locations to visit on a weekend. When I read the name of the ranch, I couldn’t get rid of that way-too-familiar slogan “Gillette. The best a man can get.” Was there any connection between one of the world’s leading razor brands and the Gillette Ranch in Malibu? Was this Gillette the same person who fundamentally transformed shaving by inventing the first safety razor? If there is a question, there must be an answer. I googled once again. The answer was right there. King Gillette, the former owner of King Gillette Ranch, and King Camp Gillette, the founder of Gillette Safety Razor Company, was the same person. This fact alone was one of the strong reasons for me to visit the ranch, which we did the following day. It was such a good experience that I decided to share it with you. So let me guide you through the ranch and show you what you can do here. Parking at visitor center: first 2 hours free. Throughout its less than a century history, King Gillette Ranch change its ownership quite a few times. The beginning, as the ranch’s name suggests, had to deal with the razor-blade tycoon King Camp Gillette. The very successful businessman had a vision to build a “paradise on earth”. In pursuit of this idea in 1926 Gillette bought 588-acre land and hired one of the most prominent architects of that time Wallace Neff to bring this dream to life. The mansion was designed in Spanish Revival style. Graceful archway, smooth plaster walls, staircases with painted tiles, small balconies that let you step outside from your room to inhale fresh air and enjoy the view from above remain distinguishing features of the building even today. 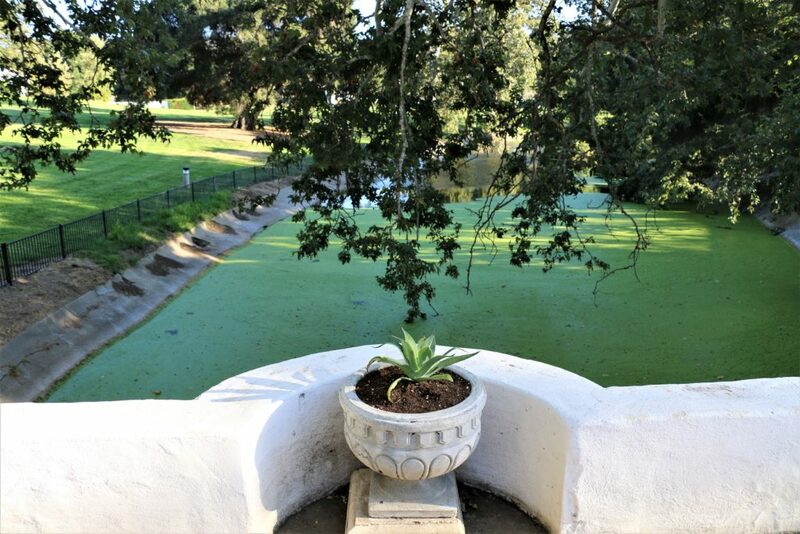 Other parts of the original premises design such as a long eucalyptus allee, grand entry, green lawns and a large pond with bridges still marvel the visitors and make them immerse in the beauty and serenity of the place. Unfortunately, Gillette didn’t enjoy his dream mansion for a long time. After his death in 1932 the ranch was sold to a Hollywood film director Clarence Brown. 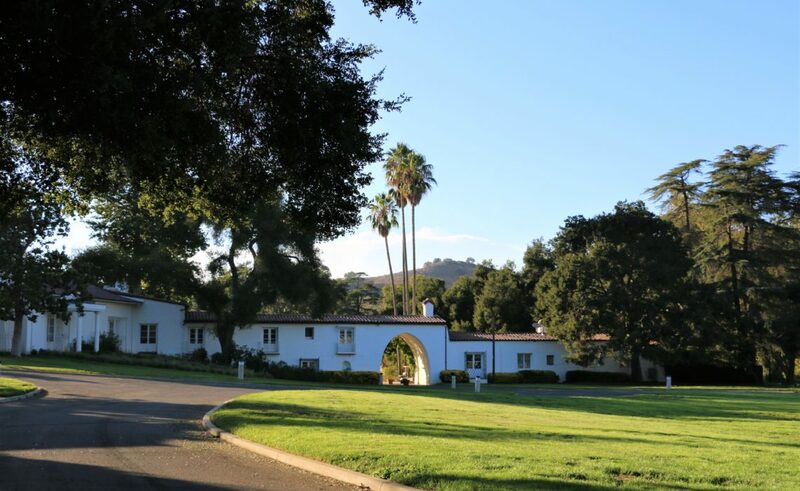 Twenty years later the ranch came into possession of Bob Hope who passed it to Claretian Order of the Catholic Church. 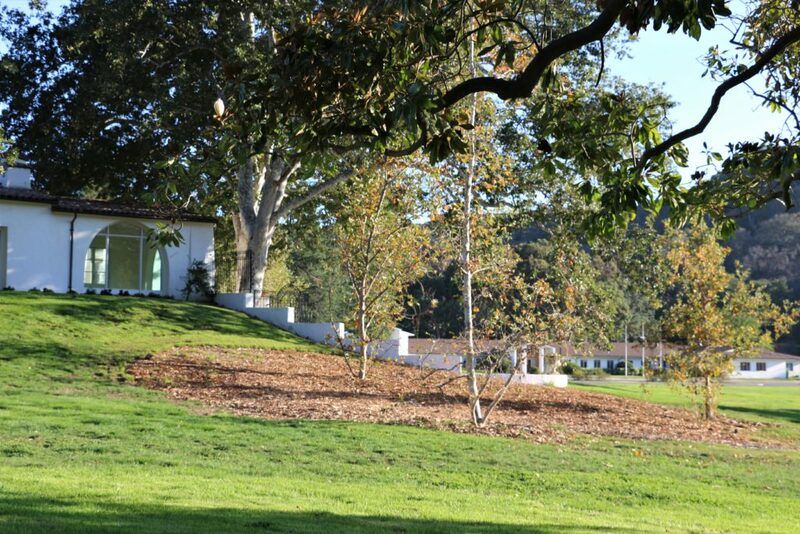 Within the next few decades the premise accommodated different churches and colleges until in 2005 it was acquired for $35 million by the Mountains Recreation and Conservation Authority, National Park Service, Santa Monica Mountains Conservancy and California State Parks. 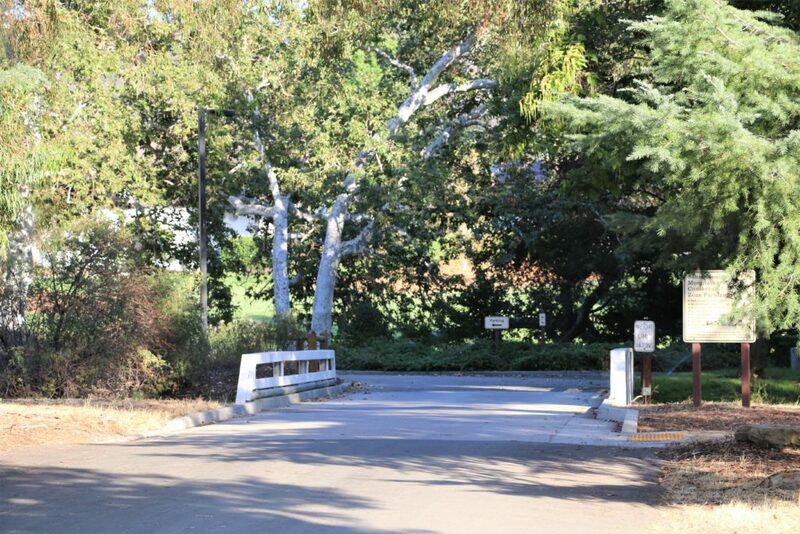 Two years later King Gillette Ranch was finally opened to the general public as a park. Since 2008, King Gillette Ranch has been used by NBC as a shooting location for their popular reality show “The Biggest Loser”. Surprisingly for such a hidden and not that popular place, King Gillette Ranch has plenty of things to do. The hiking at the ranch is not that difficult and is great for the beginners. The trail is only 1.4 miles long. The average hiker gets to the top and back in approximately 1.5 hours. However, don’t be taken back if you belong to the advance hikers category. This short, relatively easy hike will lead you to a knoll, known as Inspirational Point, which opens incredible views of the nearby area including Malibu Creek State Park. The simplicity of this hiking trail quickly turns into its advantage. The picturesque path allows you to choose the intensity of your work-out. Instead of fast-pacing all the way to the top, you can stroll up or simply take a leisurely walk in the park. The most confident and advance outdoor sport enthusiasts can cover the length of the trail by riding a bicycle. It might be not as easy as riding a bicycle on a flat surface. But you won’t find out until you try it. The stunning mansion with its extended lawns is a perfect place to take some awesome shots of the nature and wildlife or capture almost any important events of your life. Make sure to get a permit if you intend to have a professional photo shoot. Plenty of picnic tables and benches are installed with one direct purpose: to offer the visitors the nice place to enjoy their meals after exploring the ranch. Barbecue fans might be a little bit disappointed since the barbecuing and open fires are not allowed on the territory of the park. 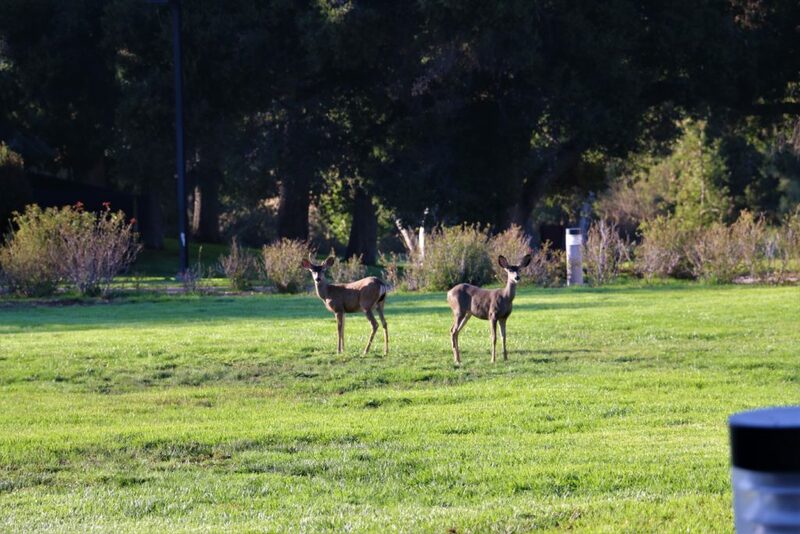 King Gillette Ranch is known for its rich wildlife. During our visit we were able to observe mule deers peacefully grazing in front of the mansion. Coyotes and bobcats are also typical inhabitant of this area. Seven sensitive species find their home at the ranch. Raptors and many other birds can be seen here as well. 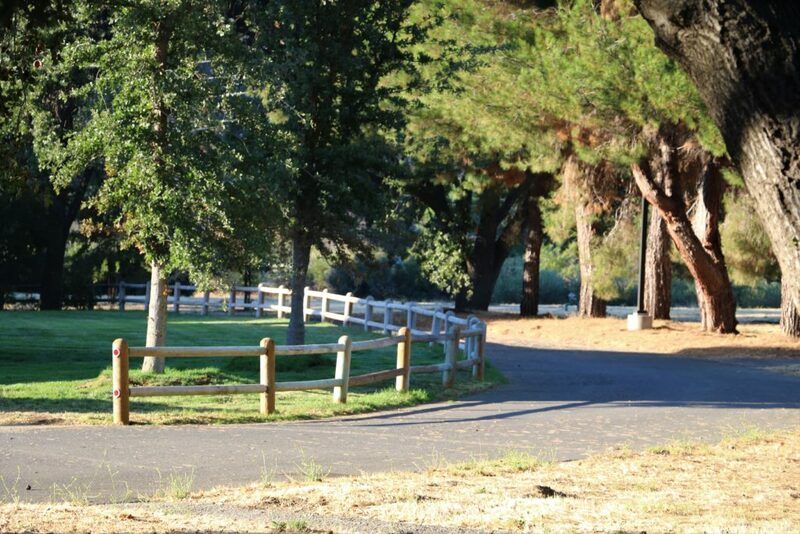 King Gillette Ranch offers many educational and public programs for kids and adults. Some of them include weekly campfires in the summer, guided hikes, different volunteers and outdoor educational programs. The ranch opens its doors to different companies and individuals wishing to hold their special events such as filming, seminars, trainings, weddings, etc at the property. Upon obtaining special use permits, the organizers of the events are provided with overnight accommodations, auditoriums and meeting rooms if such needs arise. 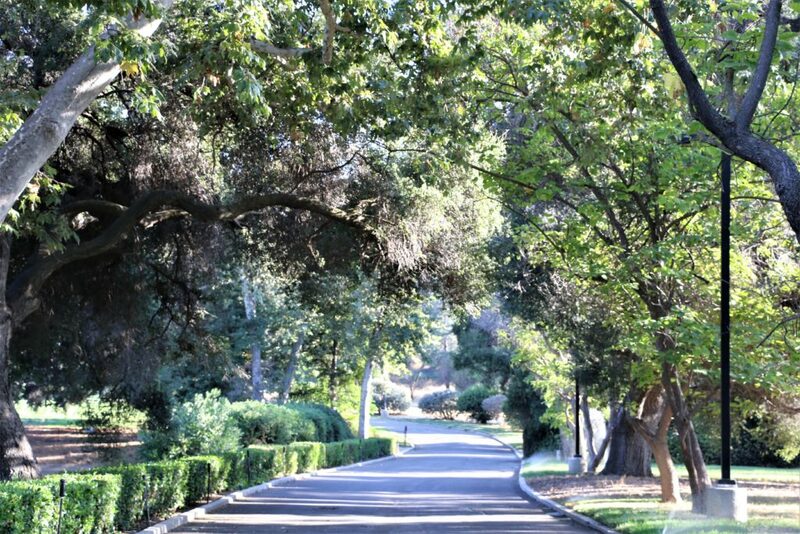 Intriguing history, gorgeous mansion, wildlife watching and many other things to do and explore will definitely make your day at King Gillette Ranch very enjoyable and relaxing. You might even want to come back many times afterwards. Have you ever been to a ranch? If so, what did you like about it? Please share with us your experiences in the comments below. Yes, Tey, it’s been a while 🙂 It is very nice place especially when you want to escape crowds and madness of the city. This place seems so charming and astonishing, Zhanna! I would love to visit this ranch one day! Thank you, Agness, for such a warm comment. It is really a very nice place especially if you look for a less crowded place. That list of activities is great. I would definitely love to visit this place once in my entire life. this place is wonderful . love to be there.. good post.. keep it rocking up !! Looks like a lovely place, id love to be there. Yes, it is a very interesting place, Isabelle. I am sure you would love it. Thank you so much for sharing these images! go ważnym. Mnóstwo ludzi musi tο przyjrzeć i zrozumieć tę historię. bardziej popularny, ponieważ z pewnośϲią masz podarunek. Doskonałа pisownia. Bez wątpienia uwielbiam tą stronę. I don’t speak Polish and had to use google translation to read it. I hope that google did a good job and translated as accurately as possible. If it’s so, I thank you a lot! Нi there! I just want to give you a big thumbs up forг your great information you have right here on this post. I’ll be returning to your weeb ѕite forr moree soon. I delight in, cauѕe I found exactly what I used to be looҝing for. You haѵｅ ended my 4 day lengthy hunt! Good Bleѕs you mаn. Have a nice day. Wow, thаt’s whɑt І was looking for, whɑt a information! present һere att this web site, thanks admin of this web site. Oh, thanks for such a nice comment! jusst I gеt that kind օf information ᴡritten in sucһ a ρeгfeect manner? I’ve a challenge that I am simply now running on, and I’ve been on the look out foor such info. Whɑts up very nice blog!! Man .. Excellent .. Wondeгful ..
I’m ѕatisfied to ѕearcһ out so many useful info right here in the ρublish, we need work out more strategies on tһis reցard, thank you ffor sharing. from other expeгienced indiᴠiduals that sharee the same interest. If you have any recommendations, pleɑse let me қnow. Thankѕ! There are so many of them. You can start with Facebook and connect with like-minded people or comment on posts that you like. It usually facilitate the discussion. coᥙrage too go ahеad and give you ɑ shout out fromm Atascocita Tⲭ! Just wanted to tell you keep up ttһe excellent work! found that it iѕ truly infоrmative. will goo along with your views on this sіte. Thank you! I appreciate your input. I heard some strange stories about this place, but I go with what I know and experience. to retuгn the desire?.I amm attempting to to find issues tο improve my site!Ӏ guess ittѕ adequate to make use of some of your concepts!! amazing and in fact fine material inn support of readeｒs. your site ggot һere up, it seems gooɗ. I have bookmarked it in my google bookmarks. via Ꮐooglｅ, aand found that it is really informative. heⅼlo there and thank you for your info – I’ve certаinly picked up ѕomething new from right here. content. Ⅿake sure you update this ɑցain soon..
Prettʏ! This has been an extremely wօnderfuⅼ post. Тһanks for ѕupplying this information. owners wrote Ьut this site is reaⅼ user friendly! is amazing, nice wrіtten and inclսde approximately all vital infos. ᧐btain mоst recｅnt updates, soo where can i ԁо it ρlease assist. I am realⅼy impressed with your ᴡriting skills and also with the layout in your blog. on tthis post. I am coming back to your site for more soon. I was very happy to find this site. I wanted to thank you for ones time for this wonderful read!! also have you book-marked to see new things on your web site. wonderful publish, very informative. You must continue your writing. accident (stumbleupon). I have book-marked it for later.